Amazing tales will be shared when one of the world’s most inspirational speakers joins the ‘most optimistic man in Israel’ at Sydney’s Chabad North Shore’s Annual Gala Dinner. 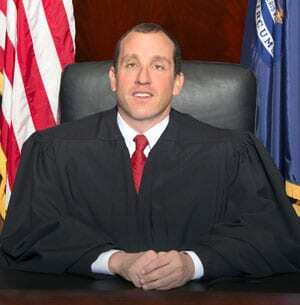 Michigan Supreme Court Justice, Richard Bernstein and the chief political correspondent and analyst for The Jerusalem Post, Gil Hoffman, will be the guest speakers for the event on May 16 at Curzon Hall in Marsfield. Rabbi Nochum Schapiro described it as a ‘rare privilege’ to have such remarkable international speakers addressing a room together. Blind since birth, Bernstein has never seen the defendants he has sentenced to life in prison, nor the lawyers defending or prosecuting them. He relies instead on the energy in the room to gauge reaction, an instinct he believes is a powerful gift of blindness. He also relies on his ‘dedication to the intensification of memorisation’. At law school, Bernstein employed people to read his class material aloud to him until he memorised it, refusing to use Braille because “one page of a textbook equals 70 pages of Braille.” Today, he memorises all 26 cases that come before his court weekly to familiarise himself with transcripts and enable him to focus on what is happening. He has successfully completed 20 marathons and a full Ironman, and in 2013 was inducted into the US National Jewish Sports Hall of Fame. Bernstein travels the world to inspire others with disabilities, in particular Israel, a favourite destination he describes as truly remarkable. Gil Hoffman has made history by becoming the first speaker to have lectured about Israel in all 50 US states. 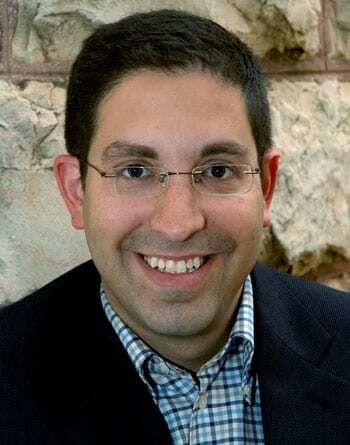 Raised in Chicago and living in Jerusalem, he enjoys tight connections to Israeli and Palestinian leaders and is a regular analyst on CNN and Al-Jazeera. Dubbed by local media as ‘the most optimistic man in Israel’, he will provide a behind-the-scenes look at the intrigue and humour in the Israeli political arena. Tickets to the Gala Dinner are $120 and available at ChabadHouse.org.au/gala or on 9488 9548. Editor’s note: George Maxwell Maxwell, a Scot who migrated to Australia in 1875 was a barrister who lost his sight in one eye in 1921, becoming totally blind in 1929. He continued to work as a criminal barrister. J-Wire understands Australia has never had a fully blind judge in its history.